These are items which are not displayed in our permanent exhibit but are offered here for online viewing. 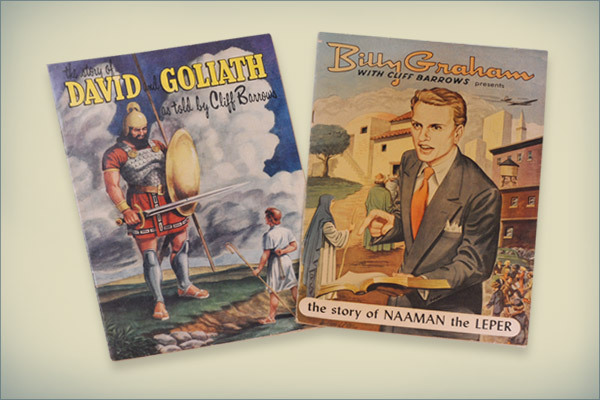 Cliff Barrows, narrator of these comic books, is a long-time associate of Mr. Graham and host for The Hour of Decision radio program. 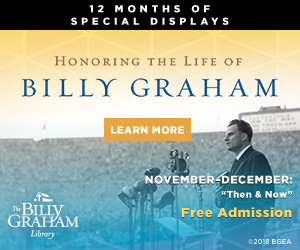 Additionally, Mr. Barrows served as music and program director for the Billy Graham Evangelistic Association for more than 60 years. 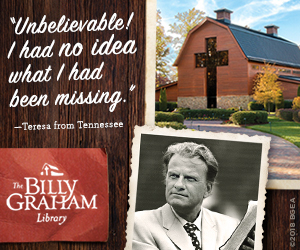 In the early days of BGEA, Cliff would give dramatic presentations of Bible stories at special youth meetings which were part of a Billy Graham evangelistic campaign. 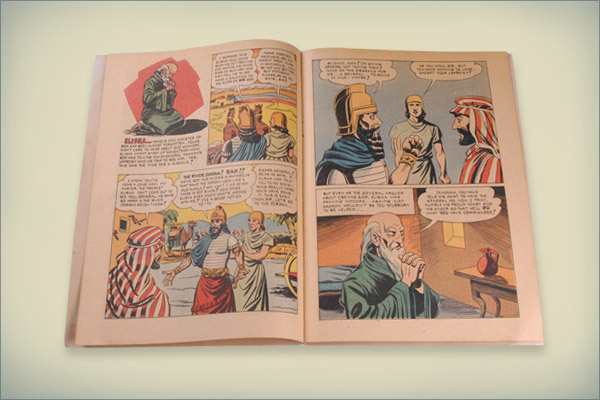 His presentations were the basis of these comic books. 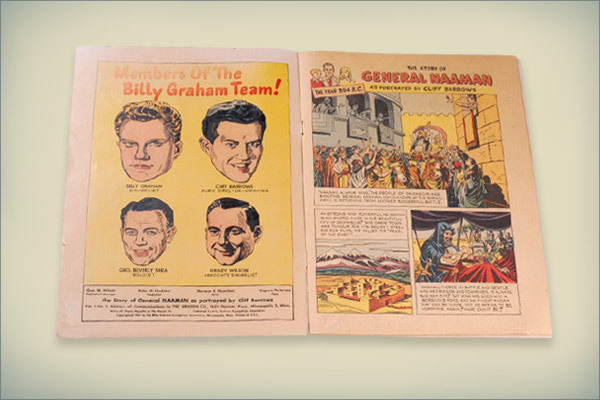 BGEA printed and distributed these at the youth meetings from 1951 to 1953. 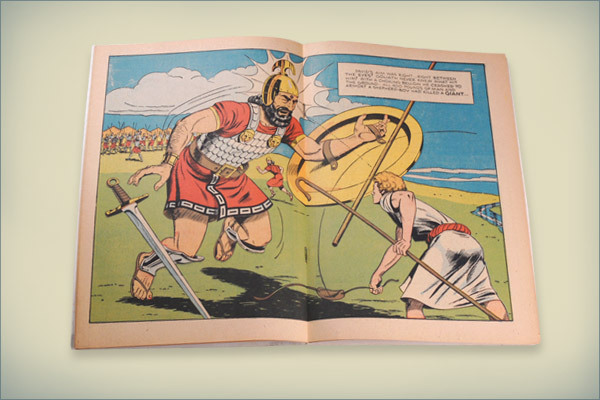 I have a copy of the David and Goliath comic book. 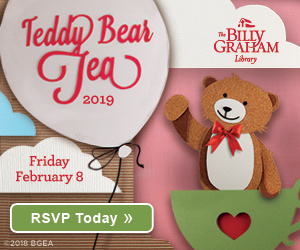 Are there folk who are interested in it? 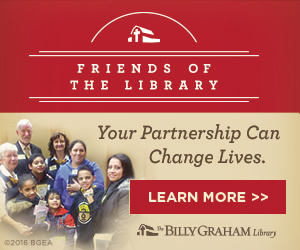 Please send your inquiry to LibraryCommunications@bgea.org. Thank you!